The International Advanced Manufacturing Park (IAMP) is an industrial park, predominantly aimed at vehicle component manufacturing companies. 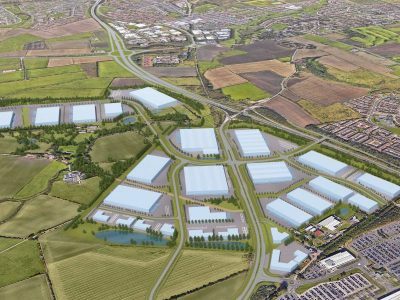 The first phase of the development, IAMP ONE, has recently received planning permission from Sunderland City Council and South Tyneside Council. IAMP is adjacent to the existing Nissan assembly plant, and it is likely that workforce training facilities will also be incorporated into the completed development. ITPEnergised undertook the noise and vibration assessment aspect of the EIA. Our assessment included a review of previous work, consultation with Sunderland City Council, a baseline noise survey, detailed noise modelling of the proposed development and associated changes in traffic flow, and specification of appropriate mitigation and design criteria. Following completion of the EIA we supported the EIA coordinator (Golder Associates) in responding to queries from Sunderland City Council during the planning process.